Arsenal are reportedly in pole position to land highly-rated Portuguese outfit SL Benfica versatile defender Alex Grimaldo, according to recent reports. A host of top clubs including the Gunners’ league rivals Manchester City and Serie A duo Napoli and Inter Milan have been connected with the Spanish left-back. And according to a Spanish outlet Mundo Deportivo, Arsenal and La Liga giants Atletico Madrid are frontrunners. The north London side are said to be weighing up an official offer for Grimaldo which could involve Alex’s compatriot Nacho Monreal moving in the opposite direction. While Atletico Madrid are in the market for a new left-back with Brazilian star Filipe Luis out of contract in the summer and Spanish-born French all-around defender Lucas Hernandez linked with an exit. Arsenal manager Unai Emery wants to bring in at least 5 players but will be given just £40m to spend this summer transfer market if the club miss out on a UEFA Champions League spot. The Spanish tactician wants a couple of full-backs, two wingers and at least one central defender. Even with a top-four finish, Unai’s budget would only be about £60m. 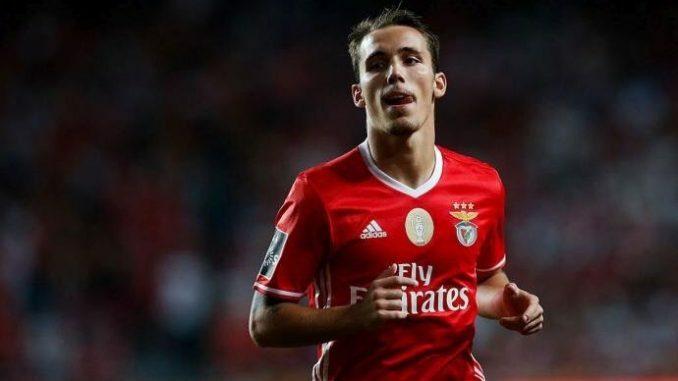 SL Benfica want about £26 million for Alex Grimaldo and it is that price-tag which stopped the star joining Napoli the previous summer, despite the club were in advanced negotiations with both parties (the club and Alex’s agent). Los Rojiblancos’ management believe they can land the full-back for a cut-price fee, while the London-based club’s hierarchy would also look to negotiate a cheaper fee.